As with most things in life, beverages come in and out of fashion all the time, some faster than we can drink them in fact! To help keep the clueless cocktail consumers à la mode, Tatler has recently published a list of alcoholic drinks that will ensure you can sip with the cool crowd, as well as a list of drinks to avoid if you don’t want to be frozen out! 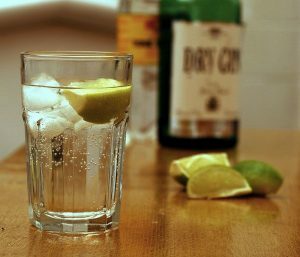 It is no secret that gin has experienced a revival in the last year, suddenly elevated from a drink that only your nan would order to the latest must-have tipple. But despite the recent increase in flavoured gins, it should only be enjoyed with tonic, darling, and skip the vegetable condiments – cucumber and elderflower have had their moment; leave them in 2017. The Negroni cocktail is the exception to the G&T rule. 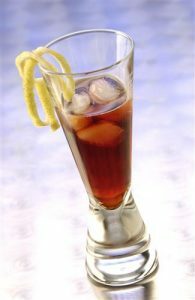 In fact, this drink topped the cool-list, with the popular style magazine insisting that even people that do not like the sharp, bitter taste will be ordering these this summer. The perfect pre-dinner stimulant, the Negroni is an acquired taste that is currently making waves across the cocktail community. Tequila is another spirit that is en-vogue this year. The magazine encourages you to drink it straight, without mixing, in order to dance the night away and wake up hangover-free. However, the Espresso Tequila is also a fashionable choice, and, like the Negroni, is an excellent appetiser. As for traditional favourites such as vodka, champagne and whisky, these drinks are all back for summer 2018. Your vodka should be straight – no snowflakes allowed here; your champagne should be cold and whisky is no longer just for the boys! Hurray! Not all cocktails will earn you your style points this summer. The Aperol Spritz has enjoyed its five minutes of fame and is set to return to the Mediterranean, never to be heard from again. And if you were looking forward to hot sunny days in your back garden with an ice-cold glass of frose (that’s frozen rose to you and me), then you will be disappointed to learn that it is no longer a trendy option. In fact, your wine should be either white or red, there is no acceptable in-between anymore. If you have a summer calendar packed full of fancy soirees and fashion parties, the Tatler guide to drinking in style should ensure you keep your cool and blend in with the elite.